If you liked this show, you should follow Revealing Conversations with Petra. Trisha Michael Channels Archangel Raphael through daily and monthly messages. Together with her husband Mike Russell, they have created T. Michael Healing Arts in Oregon and do healing sessions, classes, workshops and retreats. Trisha has been inspired by Archangel Raphael to take his lessons into the community through special sessions of profound communication and thoughtful reflection. She continues to reflect to all that “Love is Enough,” and strives to bring peace and understanding to all her clients. 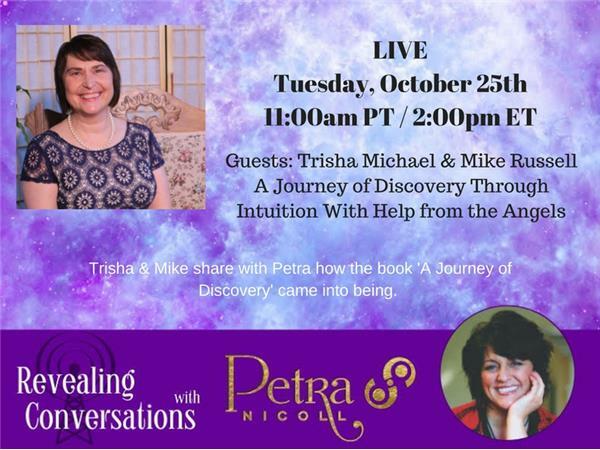 On this show, Trisha & Mike share with Petra how the book 'A Journey of Discovery' came into being. They aloso discuss how Archangel Raphael came into Trisha and Mikes lives and Trisha's early years. 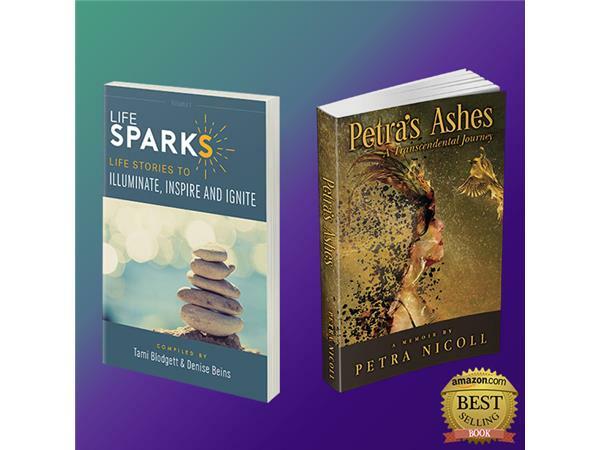 Petra's trials and tribulations in her own life have inspired her book, Petra’s Ashes: A Transcendental Journey (2016 release) and have made her who she is today – a compassionate, insightful and loving being who can help you rise like a phoenix and soar!